Traveling to The Maldives is a dream for every person. With its breathtaking beaches offered, this Archipelago state becomes one of the most visited countries in the world. Not only offering beautiful beaches, but The Maldives is also known as a healthy holiday destination. No alcohol is allowed there. Moreover, the politeness level there is high too. However, spending a holiday in The Maldives seems to cost a lot of money. But with these tricks below, you do not have to worry about the budget anymore. Vacationing in The Maldives seems fancy and expensive. It is because you can only spend your holiday there if you already have reserved certain resorts. But since 2009, The Maldives government announced that local islands with other pretty beaches can also accept tourists. So, there are already many guest houses and hotels on the local islands. 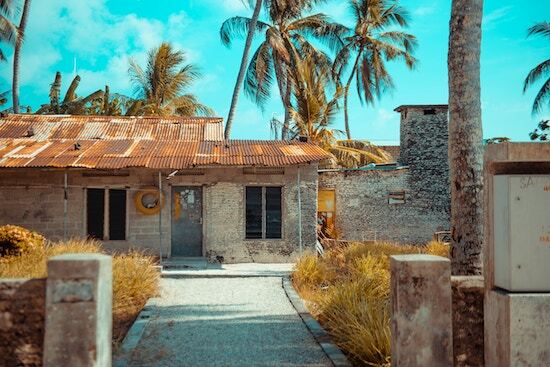 The The Maldives local islands that you can visit are Guraidhoo, Maafushi, and Gulhi. These islands provide hotels with affordable prices. But if you travel with your friends, staying at a guest house will be cheaper. Even though you are staying in local islands, you can still enjoy beautiful white sand beaches. But if you insist to have a fancy resort vacation with a minimum budget, you can try to take one day tour. This tour will bring you visiting a fancy resort in The Maldives in a day and enjoying chosen water sports. You are also able to enjoy the facilities provided such as a spa and gym. However, you are not allowed to spend the night in the resort. As an island with a Muslim majority, activities in The Maldives will be closed off on Friday. Some shops are closed and there is no transportation at all. So, make sure your arriving date is not on Friday. This will get you stuck at the airport or you will have to spend an extra cost for a transit hotel because you cannot directly go to the local islands. As an Archipelago state, The Maldives uses ferry ships as the main transportation. The government has already been managing the schedule well on their official website. On that official website, you can check the ferry schedule and match it with your itinerary. The price is also pretty cheap. You only need to pay 3-4 Rufiyaa or around $0.2 for short trips. While for long trips, for example, to reach the local islands, you will need to pay around $1.2. If you miss the ferry, you will have an over budget for your holiday. The currency used in The Maldives is Rufiyaa. Before you depart, it will be better if you check the exchange rate of the currency first. If you doubt with the exchange rate, you can just bring dollars and exchange it once you have arrived in the capital city of The Maldives, Male. Do not exchange too many Rufiyaa because it is hard to exchange again except in The Maldives. Those are tips for cheap traveling to The Maldives.